For those of you who know me or have followed this blog, you know I love cars and competition. Putting these two things together, what I say next will make perfect sense; I love motorsports. I follow British and German Touring Car Championship racing, American LeMans Series racing, World Rally Championship racing and more importantly Formula 1. I also watch legendary endurance races like the 24 Hours of LeMans, Nurburgring and Daytona when they're televised. Of course then you can understand how I felt last year after hearing that Baltimore City would be playing host to an IndyCar Series race event over Labor Day weekend. 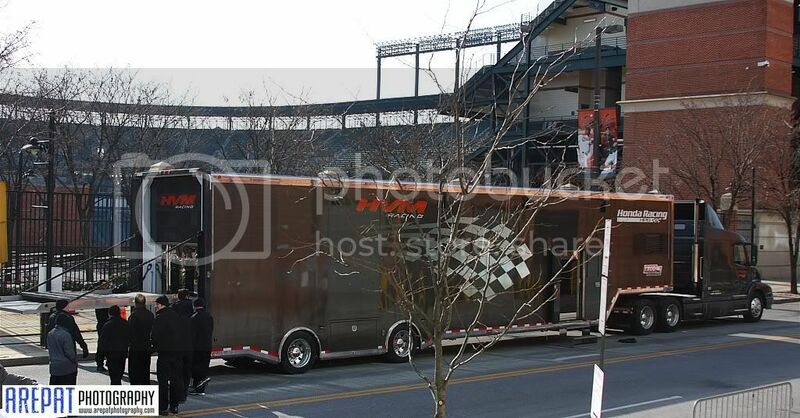 By way of the Baltimore Race Development (BRD) Group, this festival of speed is called the Baltimore Grand Prix. For my automotive site, I've covered and written articles for several shows from the U.S. German automotive enthusiast scene, but have yet to frequent road races since ROTL's inception; mainly due to glaring schedule conflicts. Rectifying last years errors, I've planned my schedule in advance ensuring my availability for the Baltimore Grand Prix. Accordingly, I've been in communication with BRD's Marketing Director concerning media access during the race weekend. A couple of weeks ago I was notified of a local press event being held by one of this years IndyCar Series Race Teams, HVM Racing. 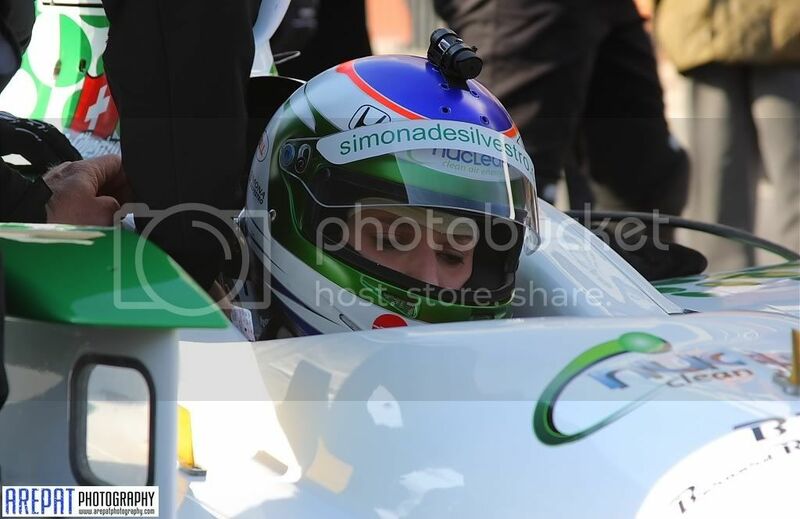 HVM's ace driver, Simona de Silvestro, was signed to return in 2011 for her sophomore year in IndyCar behind the wheel of the teams #78 race car. The catalyst behind this encore was last years major sponsor for Simona, Entergy Corporation, renewing her contract based upon the belief in the skills of this young (22) but accomplished driver; being 2010's IndyCar Series Rookie of the Year didn't hurt either. I arrived an hour and a half in advance at the location where the demonstration is to be held; S. Howard & W. Camden at the tollgate entrance for Camden Yards. It was about 25 degrees in sun. 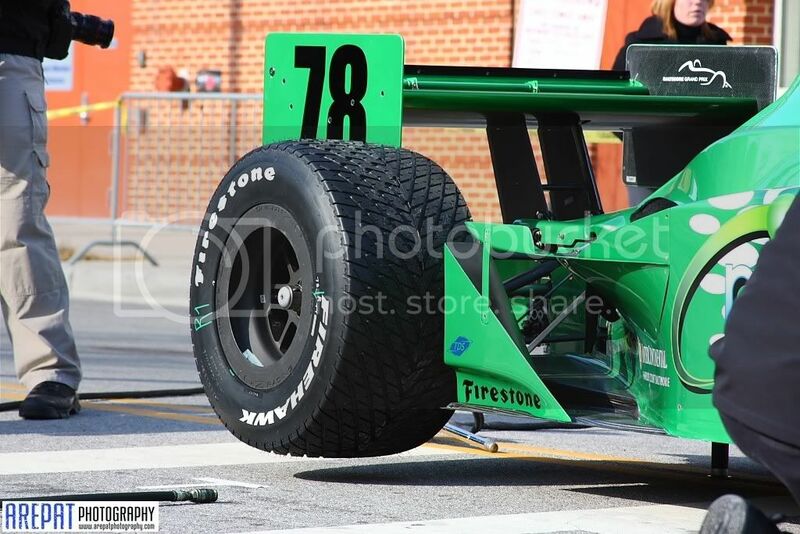 The conditions weren't perfect for operating an IndyCar of course, but in order to make things a bit more manageable, the HVM Racing Team used tread laden rain tires rather than slicks. 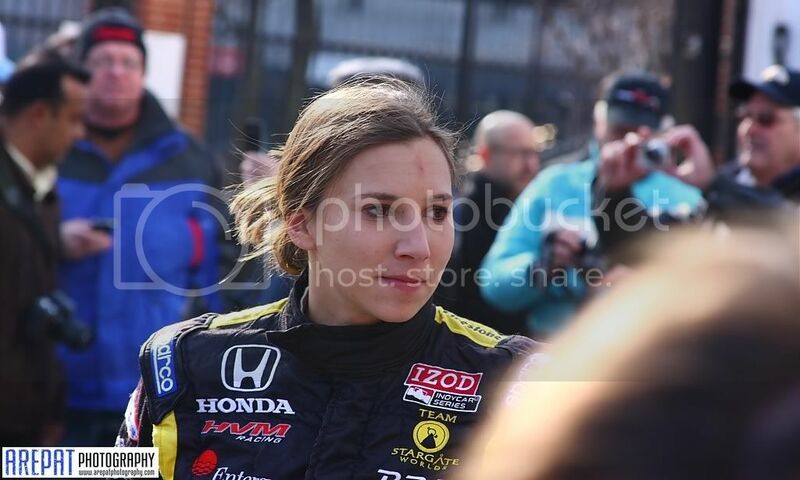 Simona de Silvestro, the focal point of this gathering, arrived once the general media had swooped in on the prepped #78 car, changed into her firesuit, had a seat and then began her briefing with the team before getting started. The plan was a quick two figure '8's in the closed off area so the media could get as many angles as needed for coverage purposes. The event went off without a hitch. Plenty of locals came outside of their jobs and lunch runs to watch everything going on, regardless of the cold, and the local city utility workers who were coincidentally on a job on W. Camden hung out with point and shoot cameras to capture the spectacle. It was a fun event; not only did it pump me up for the Baltimore Grand Prix, but it was interesting to see a young driver so early in her career going through this process of presenting herself publicly. From posing for pictures with fans and bigwigs (responsible for organizing the Baltimore GP), to signing autographs for kids; it was really cool to see. My entire set from this event can be seen here.